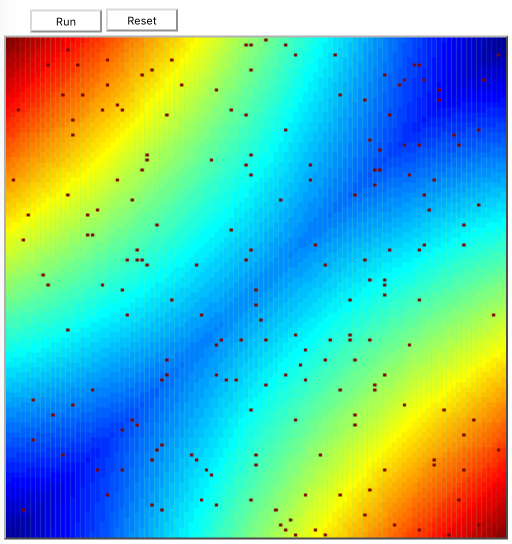 Lab 8 – Dynamic simulation of an adiabatic packed-bed reactor with feed-product heat exchange. This combines the units in labs 6 and 7. The system has feedback of energy and can exhibit multiple steady states and hysteresis. This system is related to an autothermal reactor. Lab 7 – Dynamic simulation of a packed bed reactor with heat exchange. Lab 6 – Dynamic simulation of a heat exchanger, both co- and counter-current. No reactions but you should find this interesting. Lab 2 – Dynamic diffusion and reaction in a porous solid catalyst. 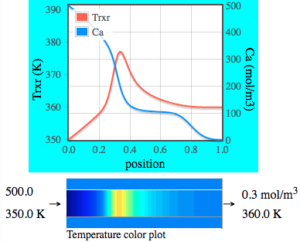 Lab 9 – Hysteresis and multiple steady states in catalytic CSTRs in series. The catalyst is that of Lab 2, model 2. 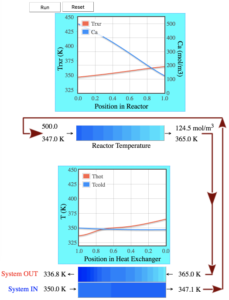 Lab 3 – Feedback control of temperature during reaction in a continuous stirred tank reactor (CSTR). The controller manipulates the temperature of the fluid entering the heat transfer jacket. At default conditions in manual control mode with constant inputs, the system oscillates. Do you know why the system oscillates? See the Resources tab, CRE Notes, 15 – CSTR thermal effects. Then put the system into Auto Control mode. 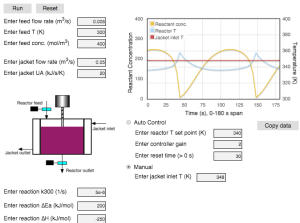 Lab 4 – Reactor temperature control where the controller directly manipulates the heat transfer jacket temperature. 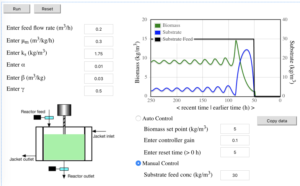 Lab 1 – Feedback control of water level in a tank. 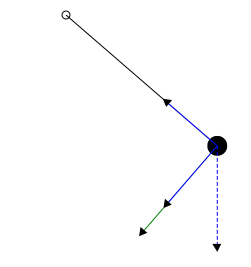 Lab 00 – Pendulum simulation using SVG graphics. Lab 0 – Experiment moving swarm of objects generated with constructor function.